Michelle Nelson in an interview with Ross Upshur discusses the importance of intra- and inter-sectoral collaboration in healthcare and explains how the voluntary sector could be engaged to support improved patient and family experiences and the outcomes. In a recent interview with Ross Upshur, Michelle Nelson, a Research Scientist at Research Collaboratory, Lunenfeld-Tanenbaum Research Institute, explained about her research, the importance of intra- and inter-sectoral collaboration in health care, engagement of the voluntary sector to support improved patient and family experience and the patient outcomes. Michelle has been actively pursuing development of a complexity and stroke rehabilitation research network. Her tireless efforts recently led to holding a meeting attended by 43 researchers, policy-makers and clinicians. The meeting initially generated 120 potential research questions, from which 16 high-priority questions were identified focusing on complexity characteristics including multimorbidity, social determinants, patient characteristics, social support and system factors (1). In this recent work, Michelle and her colleagues put the emphasis on expanding the kind of research that focuses beyond the single disease approach, and try to help understand complex patients and their care needs. This approach, as they put it, will not only help stakeholders to better understand and provide integrated stroke rehab care for complex patients but it will also help improve patient outcomes that would ultimately lead to a more developed and advanced health care system. Dr. Nelson is a Research Scientist within the Lunenfeld-Tanenbaum Research Institute in Toronto, Canada. 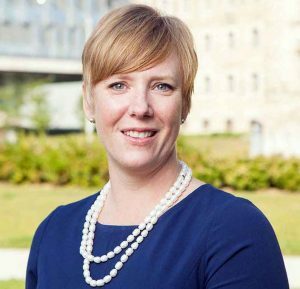 She also holds academic appointments in the Institute of Health Policy, Management and Evaluation at the University of Toronto, and Ryerson University in the School of Nursing. Her research is concentrated on patient complexity (the intersection of health conditions and social determinants); specifically examining issues related to the management of patient complexity, health profession education/collaborative practice, and community reintegration. From 2005 – 2009 she was the Research Director for a Health Canada funded Interprofessional Education program within geriatrics. She was the Principal Investigator for two Canadian Institutes of Health Research grants focused on patient complexity and rehabilitation. As a result, she convened national rehabilitation experts and stakeholders to develop a multidisciplinary, multisectoral research agenda specific to patient complexity in stroke rehabilitation. In 2014, Dr. Nelson received a $600,000 grant to examine how the voluntary sector could be engaged to support improved patient/family experiences and outcomes. So far, she has published over 40 articles and reports specific to issues of complexity, clinical practice, rehabilitation, collaboration, and the role of the voluntary sector in meeting patient needs. She is a sought after committee member for rehabilitation strategic planning, clinical guideline development and knowledge translation. In 2017, she was a visiting professor at the Queensland University of Technology, engaging colleagues in collaborative work related to patient complexity. Michelle was elected to the Board of Governors for the World Stroke Organization and nominated to the Executive in August 2018. Some of Michelle’s papers indexed in Google Scholar by September 2018. Nelson ML, McKellar KA, Munce S, Kelloway L, Hans PK, Fortin M, et al. Addressing the Evidence Gap in Stroke Rehabilitation for Complex Patients: A Preliminary Research Agenda. Arch Phys Med Rehabil. 2018;99(6):1232-41.